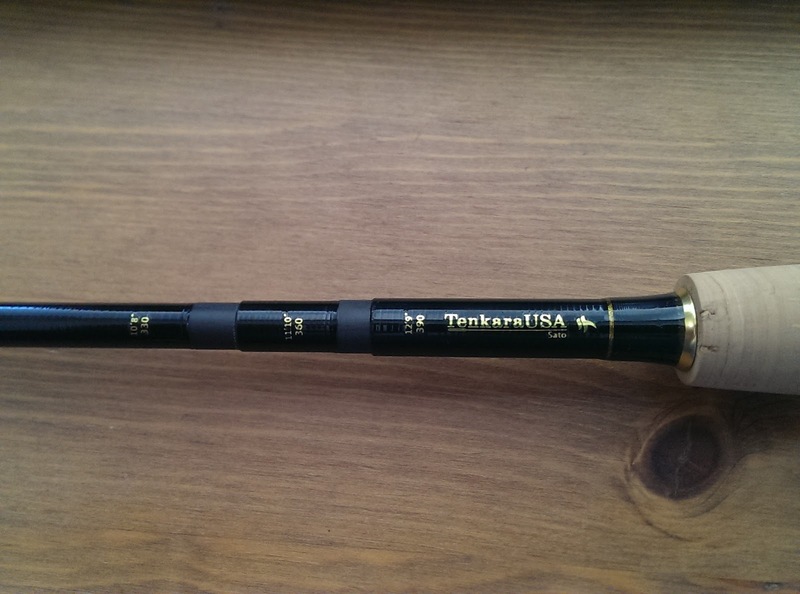 During the last few weeks, there have been many mysterious posts from prominent tenkara fisher and bloggers about new rods to be released by TenkaraUSA. No details could be shared but most indicated that those rods would be 'game changers'. Yesterday was finally the big day where TenkaraUSA officially announced the new rods on their blog and made them available for sale. Early last week I was also able to get my sticky greedy little fingers on both of them and I was honestly wow'ed by what I was pulling out of the standard green fiberglass TenkaraUSA rod tube. The first thing I thought was that they look and feel 'Japanese' - light and slim - a departure from TenkaraUSA's 'solid' design of rods. While I haven't had a chance to fish either of them yet, I didn't want to hold back posting about my initial impressions. This little rod is a triple zoom going from 270/8'10" to 297/9'9" to 320/10'6" and is designed for small, overgrown streams where you can fish it short when you things get tight and extend it when the stream opens up. It only weighs 2.1oz/59.5g and measures 21"/53.3cm when closed. This is the 'bigger' sister of the Rhodo and it will appeal to the Tenkara Angler that looks for an 'all-round' rod that can handle most situations. If you were fishing with a 11' or 12' Iwana but wanted also a 13' Iwana, this is the one rod for you. Just like the Rhodo, this is also a triple zoom rood and can be fished at 330/10'8", 360/11'10" and 390/12'9". It weighs 2.6oz/73.7g and measures 22.75"/57.8cm when closed. 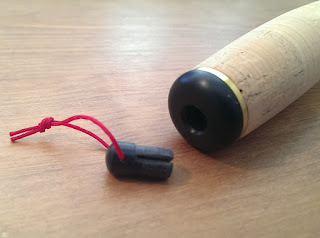 When you go fishing next time, instead of stowing the top plug in a pocket or fishing west (or lose it), you can store it in an indentation of the bottom plug. Why did not anybody else think of that before? 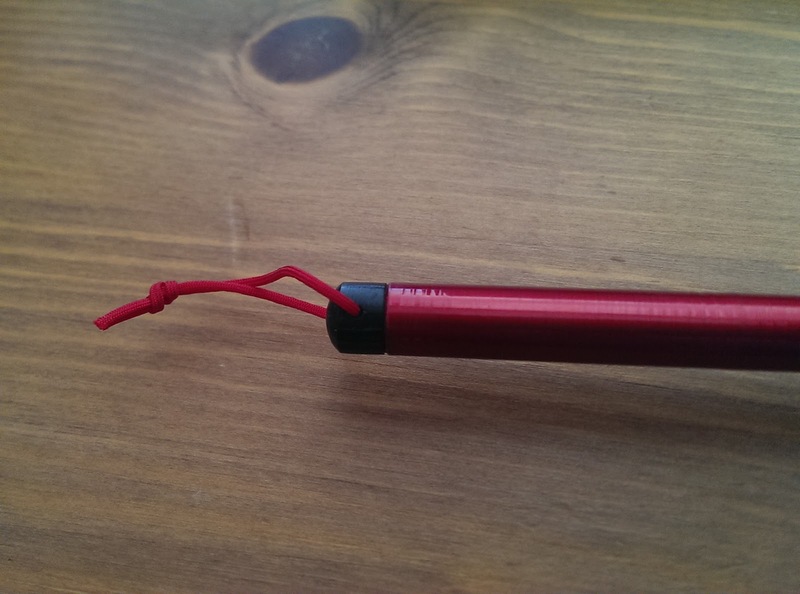 The rods come with a spare plug, so you can leave one at home in case you should ever lose the other. 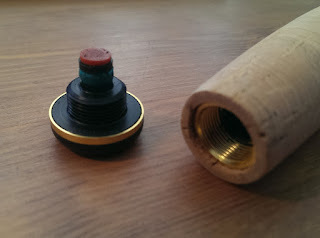 The wooden plug comes pre-drilled with a hole and a length of spare lilian threaded through it. 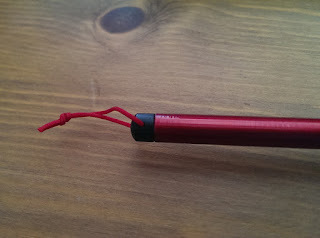 If you opt not to store the plug in the bottom, you can attach it through the loop to a carabiner, vest or pack. And you have some spare lilian, just in case. 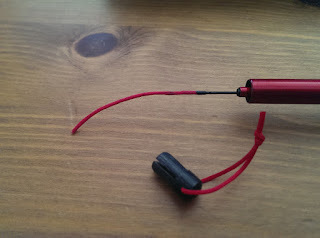 A departure from previous TenkaraUSA rods is that the plug is now made of what looks like plastic to me instead of metal. The material choice is probably due to the 'Keep your Plug" system and to reduce weight. There is no drainage hole. The finish is a glossy black with dark red bands at the top of the sections, gold lettering/logo and winding check. The zoom sections are also labeled so that you can easily identify how far the rod is extended. The blank is made from higher modulus carbon to reduce blank diameter and weight. As a comparison, the Rhodo's diameter above the handle is 0.375" while the Sato's is 0.44". The Iwana 12' is 0.51" and the Iwana 11' is 0.44". 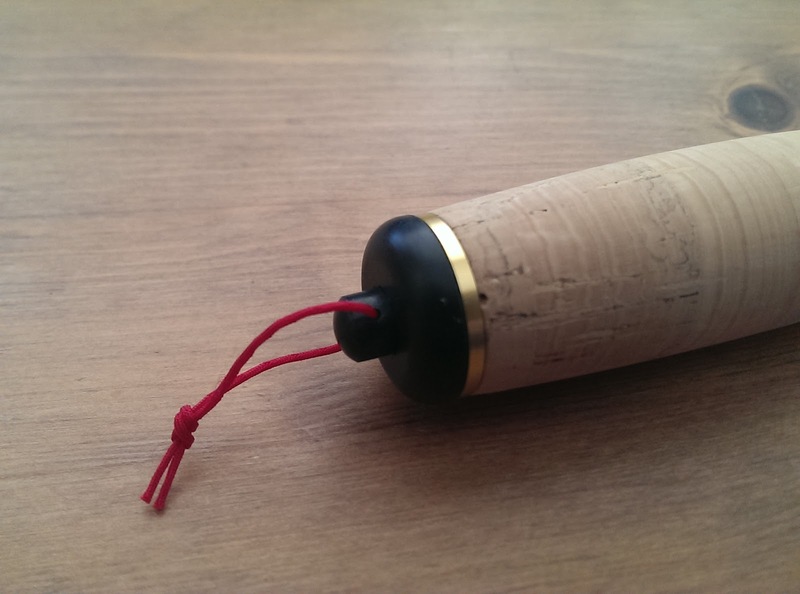 The handle on both is of good quality cork (Rhodo 9", Sato 10.5" ) that is similar in shape to it's "older sister", the Iwana, but more pronounced (less hip and more top and bottom - I am trying hard not to do an inappropriate analogy here...). 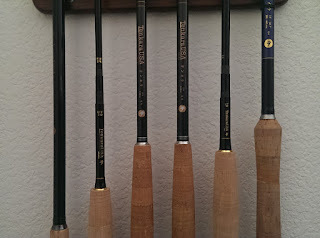 TenkaraUSA decided not to label the rods with the commonly used 5:5, 6:4 or 7:3 action but if I had to categorize them, I would say they are a 'high' 5:5 to a moderate 6:4. That being said, they have a nice crisp action that promises accurate casting. I expect that the rods will perform best with a no. 2.5 level line to a no. 3.5 level line, depending on the line length. 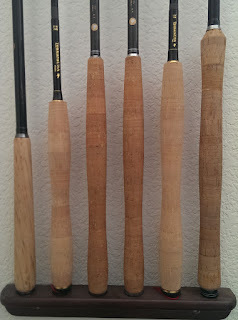 Both rods sell for $215. As mentioned, those rods look and feel unlike anything TenkaraUSA has released previously. 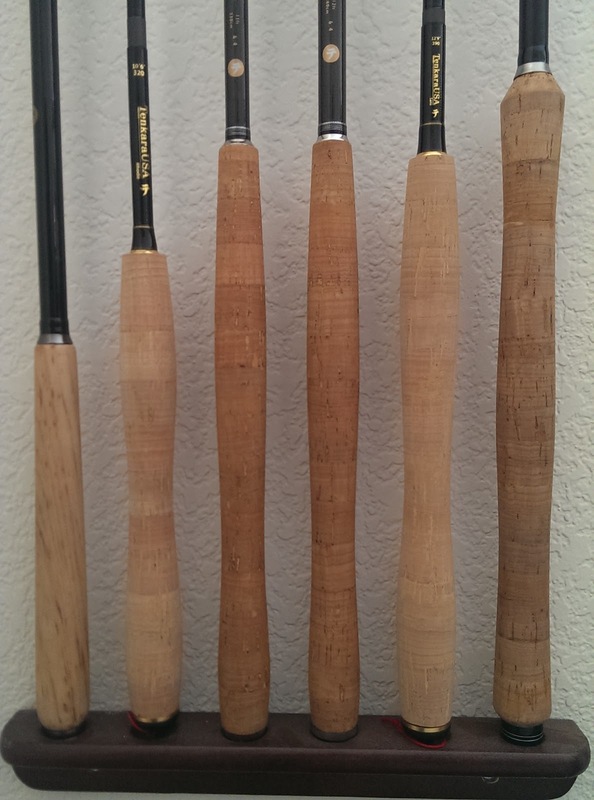 The blanks are thinner, the rods are lighter and they feel very light in the hand, regardless whether in the shortest or longest configuration (in which the Sato just barely feels a bit top heavy but nothing like the Ito, TenkaraUSA's first zoom rod). Since I haven't been able to fish with the rods yet, I recommend to also check out the rod's reviews on TenkaraTalk , Teton Tenkara and Discover Tenkara who were already able to put them in action. Disclaimer: I am not affiliated with TenkaraUSA nor did I receive any compensation to review the Sato or the Rhodo. 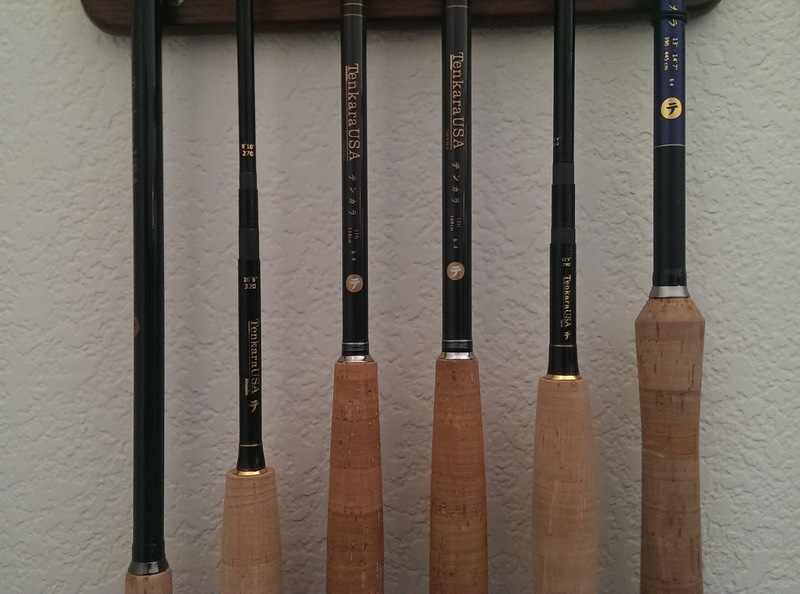 Daniel of TenkaraUSA was kind enough to send me those two rods ahead of the official release date. My home is currently London where I moved to in 2015 from Denver, Colorado, where I started fishing tenkara in 2010. I grew up in Switzerland, then spent a few years in Vienna/Austria and moved then to the New York City area where I met my wife. I learned fly fishing in 1998 in the Austrian Alps while living Vienna/Austria. 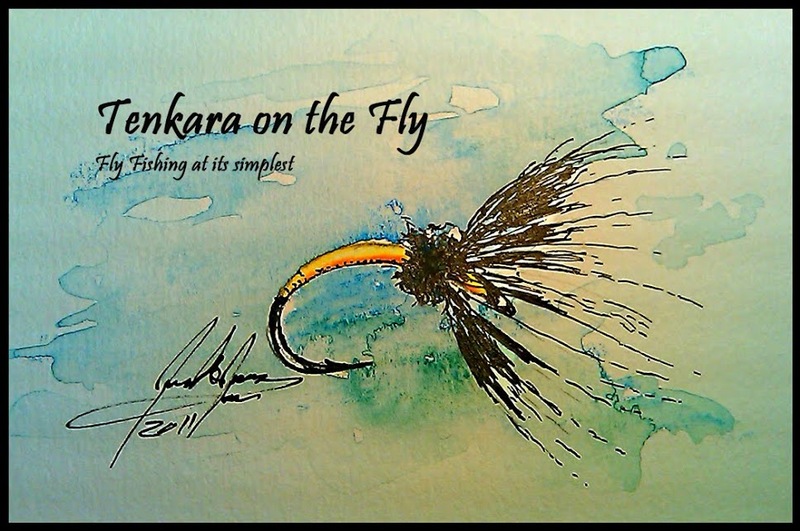 New Kid in Town - Tenkara Rod Co.
Click Here For "Tenkara Links & Resources"
Vote for the Winners in Our Spring Orvis Days Fly-Tying Contest! Catch Magazine Edition #60 is Live! Moniteur-guide de pêche au pays Basque. Les débuts du Tenkara au Québec. Intelligence Report: The Iron Is Smokin' Hot! New Blue Quill Angler Blog!!! © 2010 Tenkara On The Fly. All Rights Reserved. Awesome Inc. theme. Powered by Blogger. The picture of the blog header was painted by Joel DeYong of A Year On The Fly. Please visit his blog here.